Renewable energy technologies are commonly touted for delivering “clean” power with little or no impact on the environment. In fact, many of the components used in solar and wind energy generation—as well as in storing such energy for later dispatch—are made from materials that, owing to their toxicity and/or economic value, should be reused or recycled where possible. Renewable technologies such as solar photovoltaic panels, wind turbines, and the many electric vehicle and grid-connected battery systems now under development utilize an array of materials that can variously be hazardous to dispose of in a landfill, economically valuable, or both. And while these industries are not yet fully mature, some of the first-generation equipment installed 20 to 30 years ago—rooftop panels and wind turbines—will nonetheless soon be nearing their end-of-life stage. It is only prudent that we begin building the infrastructure now that will be required to manage the recycling of these materials in the near future. While rooftop photovoltaic (PV) systems installed in the early days of solar energy are still generally operational, many of them will soon begin reaching the end of their useful life (approximately 30 years). Because solar PV panels can contain heavy metals, including lead and cadmium, they are not suitable for disposal in landfills. Additionally, these panels can also contain rare and valuable metals, such as tellurium and indium, that need to be conserved because their supply is finite. The International Renewable Energy Agency estimates that, at the end of 2016, cumulative global PV waste streams amounted to between 43,500-250,000 metric tons. 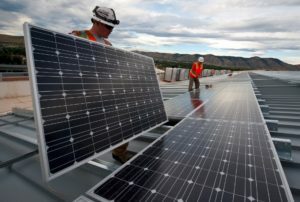 However, the agency predicts that by 2050 cumulative worldwide PV waste will amount to 60-78 million metric tons—10 million tons of which will have been generated in the U.S. (second only to China). PV Cycle, a European photovoltaics association, in 2016 developed a process that it says achieves a 96 percent recycling rate for silicon-based panels (the majority of the global market). Non-silicon-based PV panels can have a recovery rate of up to 98 percent. In the U.S., a subsidiary of the trade group offers PV manufacturers membership in a take-back and recycling program for both modules and battery waste. As with solar panels, the expected lifespan of wind turbines is approximately 25 years. Thus, the first generation of wind turbines—many of them installed in California, Denmark, and Germany in the 1980s and 1990s—will be due for dismantling and recycling in the coming years. Many wind turbine components—particularly the tower and foundation, but also the generator and gearbox—are manufactured from materials that are recyclable and have good scrap value, chiefly steel and copper. Wind turbine blades are more problematic, as they are made from lightweight composites, typically fiber-reinforced epoxy or unsaturated polyester. Currently, the only industrial-scale recycling of wind turbine blades is performed at the Zagons Logistik plant, in Germany, which has a 60,000-metric-ton annual capacity. The process produces a material that functions well as a ﬁller in cement production. However, the supply of potentially recyclable wind turbine blades is expected to surpass the plant’s capacity sometime in the coming decade. 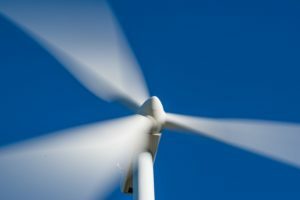 Washington State University and Global Fiberglass Solutions are working on a new solution to recycle composite fiberglass material from decommissioned wind turbine blades. Researchers are experimenting with cutting the blades into palm-sized pieces that are refined by grinding and milling and processed into new composite materials. The materials are reported to hold up well compared to many wood composites and could have applications ranging from floor tiles to plastic road barriers. 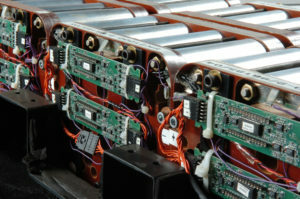 Recycling of electric vehicle (EV) batteries is another looming issue with economic and environmental implications. While earlier generations of electric cars tended to use lead-acid batteries—which are easily recycled—more recent EVs have typically been powered by lithium-ion chemistries, which have little to no recycling infrastructure in place. Unlike lead, lithium is currently cheaper to mine than it is to recycle, which is inhibiting the development of a recycling infrastructure for this material. Moreover, current technologies for recovering lithium from rechargeable lithium-ion batteries do not produce lithium pure enough for reuse in batteries. Instead, it is repurposed in glass, ceramics, lubricants, and other applications. Lithium-ion batteries currently installed in EVs are expected to have a useful life of approximately 10 years before their charge decreases to a level where it impacts driving range and they must be replaced. So there is time to develop the technologies and infrastructure required to handle the looming supply from EV applications. An interim option to recycling lithium-ion batteries is to reuse them. After 10 years of usage in an EV, lithium-ion batteries retain up to 70 percent of their energy capacity. That makes them potentially useful to repurpose as grid-connected batteries, i.e., devices that store excess energy from wind and photovoltaic systems and release it back to the electricity grid at a later time. EV battery chemistries are not uniform, however. In addition to lead-acid and lithium-ion, there are also nickel metal hydride and sodium varieties—and not all are suited for second lives as grid-connected batteries. Nickel cobalt aluminum oxide batteries, for example, are likely not suitable for this application due to their poor cycling characteristics. Even where lithium-ion or other EV batteries find application as grid-connected battery devices, this only prolongs their life. Inevitably, developing the required infrastructure for recycling EV batteries and grid-connected storage devices will likely depend on which battery technology or technologies, if any, become the accepted standards for these applications going forward. The UK’s oldest wind farm is closing, and owner @EON_SE_en will recycle one turbine for reuse as spare parts within its onshore fleet. Chinese battery makers are changing their battery composition from 1:5 to 10:1 nickel/cobalt to reduce their use of cobalt in batteries. @RiceUniversity scientists have used an environmentally friendly solvent to extract cobalt and lithium from used lithium-ion batteries. While PVs are 90% glass, higher-value solar panel recycling involves reclaiming silver and aluminum, says SJSU Professor @DustinMulvaney.